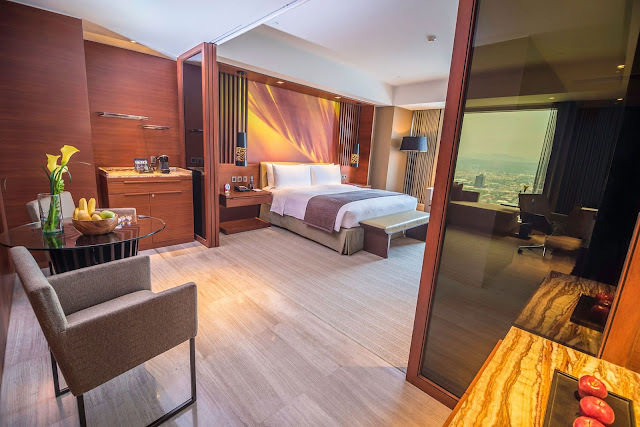 Take part in the Forbes Travel Guide Five-Star Award winner, Marco Polo Ortigas Manila's, line up of exciting activities. Listen to the sweet symphony of Christmas carols as you gaze around the halls of the tinsel town. Choirs from different groups are coming in to serenade the guests, and make you feel the holiday light, in all weekends of December. Rudolph’s bell rings for the Sundays of December as Santa Claus comes in his sleigh to get the Christmas wishes, and take snapshots with the nice kids! The little tots are also up to join the fun, as Piccolo Kids Club holds a workshop with Santa’s elves on December 9. The spirit of Christmas is not complete without the long-standing tradition of celebrating the anticipated holy mass. Rejoice in holiday tidings for this festive season on Christmas Eve December 24 and New Year’s Eve, December 31. To know more about the hotel, contact (632) 720 7777 or book online via www.marcopolohotels.com or email: manila@marcopolohotels.com. Visit facebook.com/MarcoPoloOrtigasManila or follow @MarcoPoloManila on Twitter or Instagram. Was planning to spend some time away from home with my family on this Christmas. Its always nice to have a holiday planned. The place looks amazing and we will definitely get it booked for us!